As you begin to investigate what major you should pursue, you might find yourself drawn to a STEM major. STEM majors are diverse, challenging, and offer a wide array of opportunities. From to biochemists to ocean engineers and meteorologists to applied mathematicians, colleges are preparing students in these programs for future work in exciting careers. There are many reasons to choose a STEM major. Graduates make a positive contribution to society. Most importantly? Once students have finished their education, career opportunities abound. Pursuing a STEM major will allow you a wide variety of future opportunities after graduation. For example, pursuing an engineering major opens many doors; a graduate can seek a career in such diverse fields as chemical engineering, computer science, or environmental science. A meteorology major can seek work in a variety of venues – graduates may work in a research capacity for a private company, such as Boeing, while others may pursue work for a government entity, such as NASA or NOAA. Some may choose to work in television broadcasting. There are many different areas of specialization within any STEM major. When a student graduates with a strong undergraduate degree, she is preparing herself for any future changes in her chosen field. It is impossible to predict what the future holds. Consider Aerospace Engineering – from day one, students are immersed in hands-on opportunities, such as thermal energy, mechatronics, and rocket propulsion. These experiences not only prepare students for the current workforce but also give them the tools and skills necessary to help evolve their field of study far into the future. STEM careers are among the highest in initial compensation for recent graduates. According to the American Engineering Association, these graduates earn 87 percent more than the average salary of a non-STEM graduate. Specifically, the average starting salary for mechanical engineering graduates is $58,392 and computer scientists start, on average, at $61,205. Career Cast, an online employment site dedicated to targeted job information, published a list of the Top 10 Best Jobs based on job satisfaction. Based on their research, 8 of the top 10 jobs were within STEM fields. Included in this list are software engineer, mathematician, statistician, computer systems analyst, meteorologist, and biologist. Everyday life is constantly affected by professionals from STEM programs. Science, technology, engineering, and mathematics play a role in everything from creating new ways to promote aquaculture to the design of a bridge by a civil engineer. Being on the cusp of modern technology and using a STEM education benefits the world and has an important impact on both local, national, and global matters. Many universities are proud of their world class education offered in all of their STEM programs. These programs have been developed to not only properly educate but also strategically prepare graduates for the future workforce. Considering an undergraduate degree in a STEM area of study not only meets a student’s current educational needs but will also help shape his future career and contributions. Working in retail, hospitality, a call center, or another job focused on customer service can give you vital workplace skills. No matter which industry you want to work in, the following six strong customer service skills are transferable to any job. Good communication is the key to good customer service. It’s also the cornerstone of working in any industries where you need to work with other people, from customers to colleagues, and clients to business contacts. Through your customer service role, you’ll learn how to explain concepts to others in easy-to-understand terms and how to placate people who may not share your point of view. You’ll find that you use these same skills in most roles. Your oral and written communication skills will also help you get your points across in meetings and during collaborative tasks. Good communication and active listening skills tend to go hand in hand. Good communication is a two-way street. While effective public speaking skills are important, so is effective listening. Customer service professionals hone their active listening skills when they listen to what a customer says, then ask questions to clarify what they’ve heard before delivering a response. A study by Korn Ferry International, an executive search recruitment firm, found that active listening is the most important competence for any workplace. The firm gave active listening this rating because it believes active listening can cover gaps left in other workplace areas. For example, if you don’t yet have skills in negotiation, you could rely on your active listening skills to get through a negotiation process. Customer service representatives are pros at problem solving. 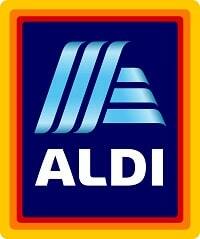 So much of their job involves handling complaints and queries customers have. They must use ingenuity to find solutions that work within a business’s preferred practices yet satisfy customers. Problem-solving skills cultivated in a customer service role are transferable to almost any profession, but they are especially important for creative and technology roles, such as advertising executives, engineers, and software designers. No customer service worker is an island. Instead, customer service employees work as part of a team to support their employer’s positive image and customer service standards. Many customer service workers find themselves jumping in to help colleagues address customer queries or assisting their co-workers when they’re especially busy. The kind of collaborative teamwork skills demonstrated by customer service workers is essential for success in many professional environments. It’s important for people in a range of industries to work within their designated roles but come together when required, such as for group projects and meetings. Many customer service professions require you to multitask well. Every customer wants to feel important, even though your attention may be pulled in several directions. It’s not uncommon for customer service professionals to run computers or cash registers while speaking with customers. You might also deal with a number of customers at once if people with more urgent concerns need help while you’re dealing with more routine matters. And, of course, you must do it all efficiently and with a smile on your face! That aptitude for multitasking is useful for working in any busy profession. Customer service workers must be resilient. While most members of the public are pleasant, some can be short-tempered and belligerent. In these circumstances, customer service workers must rely on their skills of resiliency to power through. Otherwise, they can’t deliver their best service to the next customer they interact with. Similarly, you won’t find all the people you deal with any profession in good humor all the time. Sometimes, events in life simply don’t go your way. Despite the challenges, it’s important to rely on your skills of resiliency to move on to the next task. Demonstrating your resilience to a potential new employer will hold you in good stead on any job interview that you face. Don’t underestimate how important having a background in customer service can be. A role focused on helping members of the public can position you well for landing any job. This type of prompt is enough to send your stomach plummeting to your shoes. It’s challenging to think on the fly to begin with, and when that’s combined with the fact that your nerves are running high, it’s common to draw a blank and stare at that pen completely slack-jawed. Fortunately, like any other type of job interview question, a little preparation and practice can help you knock your response out of the park. So what do you need to know to effectively answer a “sell me something” interview question? We’re covering all of the details right here. Why Do Interviewers Ask This Question? As you might guess, this type of question is frequently asked in interviews for sales positions. While a pen is a common default object, that’s not the only scenario for this type of sales prompt. Your interviewer might say, “Sell me this bottle of water” or even simply, “Sell me something” and then have you choose an item in the room and state your pitch. It’s tempting to think that they’re only asking this to stump you or put you in a tough spot—and honestly, that’s partially true. In any sort of sales role, you’ll occasionally find yourself in sticky situations. So interviewers don’t ask this question with the expectation that you’ll have a flawless response (although that certainly doesn’t hurt!). Instead, they simply want to observe how you react under pressure. It’s comforting to know that employers are more interested in your overall demeanor—as opposed to only the content of your response. However, you still need something to say (and ideally, it’ll be effective and impressive). Here are four tips to help you craft an impactful answer to this common question. Remember, the primary reason your interviewer is asking this is to gauge how well you respond when you feel pressured or caught off guard. Even if you don’t have a perfectly polished sales spiel to whip out at a moment’s notice, do your best to display a level of confidence as you work your way through your answer. Sit up straight, maintain eye contact, speak clearly, and smile. Those nonverbal cues will go a long way in making you seem poised and self-assured—regardless of the actual content of your sales pitch. In a famous scene in the movie The Wolf of Wall Street, Leonardo DiCaprio’s character tells a salesperson, “Sell me this pen.” The salesperson immediately takes the pen from DiCaprio and then asks him to write his name down—which is impossible to do without any sort of writing utensil. “The purpose is to prove that he needs the pen,” explains Dan Ratner, a former account executive at The Muse. While you might not replicate that exact approach, this is definitely a tactic that you can borrow when answering this question yourself. The best place to start is by asking questions. The temptation is strong to jump right in with a long-winded sales pitch. But remember that a good salesperson takes the time to learn about the needs, goals, and challenges of their prospective customers so that they can tailor their pitch to their audience. In addition to connecting your sales pitch to specific needs, it’s also helpful to call attention to the features or benefits of whatever you’ve been asked to sell. This is all about setting up a distinct value proposition for that item. “For example, does your pen write with very smooth ink? How will that benefit them? Maybe it can help them write faster or more effortlessly. Does your pen have red ink? Red ink will help their markups stand out on a page,” shares Raffellini. Raffellini says that selling these unique attributes or perks is a tactic she has used herself in job interviews. The close is the most important part of the sale, but it’s also an easy one to forget when you know that the interviewer won’t actually be cutting you a check for that pen of yours. When you’re on the hunt for any sort of sales position, you need to be prepared to answer some variation of the “sell me this pen” interview question. The good news is that interviewers don’t expect that you’ll have a completely polished sales pitch ready to go—they’re mostly trying to discern how you respond in high-pressure situations. Continue on tho The Muse to read the complete article. The American Indian College Fund and Pendleton Woolen Mills, the acclaimed lifestyle brand headquartered in Portland, Oregon, are introducing a new, exclusive blanket to the American Indian College Fund Collection to honor the contributions of David Kennedy, the co-founder of independent creative advertising agency Wieden+Kennedy. For nearly 29 years, Wieden+Kennedy, has been a creative partner of the American Indian College Fund and led an effort that’s continued to raise awareness about the importance of higher education to ensure a better future for Native American people, their families, and communities. The agency, under the creative leadership of David Kennedy, has provided its public service media, creative design, and collaborative work with Pendleton Woolen Mills and the College Fund to design blankets for the American Indian College Fund Collection. Kennedy has also served as a member of the College Fund’s board of trustees. Kennedy was presented with The Contemporary Pawnee Pathway blanket, designed by Bunky Echo-Hawk, an acclaimed Native American artist and longtime friend, at a reception in his honor at Wieden+Kennedy’s Portland offices on March 28. The blanket is available at Pendleton retail stores and on their website at pendletonusa.com. A portion of the proceeds will benefit the American Indian College Fund and student scholarships. Echo-Hawk first met David Kennedy while employed by the American Indian College Fund. They continued their friendship as their paths intersected in the art world. 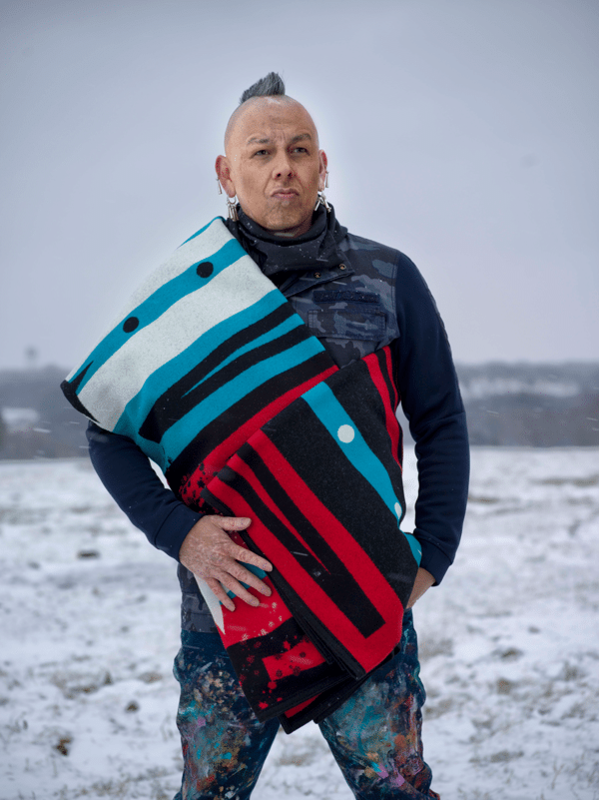 Echo-Hawk relied upon his experiences as a graduate of the Institute of American Indian Arts, a tribal college alumnus, and a friend of David Kennedy to inspire his blanket design. Echo-Hawk said the paint splatters are a nod to the creativity of David Kennedy, and are not geometric or symmetric, mirroring our life path, which is winding and sometimes messy. The turquoise blue represents the heavens, which are present above us in each stage of life and all around us, as symbolized by the blue border. For those wishing to honor David Kennedy, in addition to the blanket, the David Kennedy Endowed Scholarship has been established in his honor. Individual donations can be made at collegefund.org/David. About Bunky Echo-Hawk—Bunky Echo-Hawk (Pawnee/Yakama) is an internationally recognized visual and performing artist. His work is exhibited in national and international museum and gallery exhibitions. As a performance artist, he has performed in major venues throughout the country. His work is celebrated and widely collected and held in private and permanent collections globally. Echo-Hawk also enjoys commercial success as an artist, and has created work for non-profit organizations, corporations, and Tribal communities. He has created design work for Vans and has designed the Nike N7 Collection since 2010. As a muralist, Bunky is commissioned to install large public works of art throughout the country in various tribal communities, towns, and public places. Most recently, he has installed murals in American Airlines Arena in Miami, Florida, the home of the Miami Heat, and on the Northern Cheyenne Indian Reservation. About Wieden+Kennedy—Wieden+Kennedy, founded in Portland, Oregon, in 1982, is an independent, privately held global creative company with offices in Amsterdam, Delhi, London, New York City, Portland, São Paulo, Shanghai, and Tokyo. Wieden+Kennedy works with some of the world’s most innovative brands, including AB InBev, Airbnb, Coca-Cola, Delta Air Lines, KFC, Instagram, Nike, Procter & Gamble, Samsung, and Spotify. Wieden+Kennedy was recently honored as Adweek’s US Agency of the Year and one of Fast Company’s Most Innovative Companies in Advertising. Learn more at wk.com. About Pendleton—Setting the standard for classic American style, Pendleton is a lifestyle brand recognized as a symbol of American heritage, authenticity, and craftsmanship. With six generations of family ownership since 1863, the company recently celebrated 156 years of weaving fabrics in the Pacific Northwest. Known for fabric innovation, Pendleton owns and operates two of America’s remaining woolen mills, constantly updating them with state-of-the-art looms and eco-friendly technology. Inspired by its heritage, the company designs and produces apparel for men and women, blankets, home décor, and gifts. Pendleton is available through select retailers in the U.S., Canada, Europe, Japan, Korea, and Australia; Pendleton stores; company catalogs; and direct-to-consumer channels including the Pendleton website, pendleton-usa.com. About the American Indian College Fund—Founded in 1989, the American Indian College Fund has been the nation’s largest charity supporting Native higher education for 30 years. The College Fund believes “Education is the answer” and provided 5,896 scholarships last year totaling $7.65 million to American Indian students, with more than 131,000 scholarships and community support totaling over $200 million since its inception. The College Fund also supports a variety of academic and support programs at the nation’s 35 accredited tribal colleges and universities, which are located on or near Indian reservations, ensuring students have the tools to graduate and succeed in their careers. The College Fund consistently receives top ratings from independent charity evaluators and is one of the nation’s top 100 charities named to the Better Business Bureau’s Wise Giving Alliance. For more information about the American Indian College Fund, please visit www.collegefund.org. Photo: Artist Bunky Echo-Hawk (Pawnee-Yakama) poses with the Pathway blanket he designed in honor of Wieden+Kennedy founder David Kennedy. Photo by Thomas Ryan RedCorn (Osage). Today an alliance of diverse chambers of commerce, in collaboration with Wells Fargo, launched a new Chamber Leadership Development Program to support diverse entrepreneurs in the U.S. 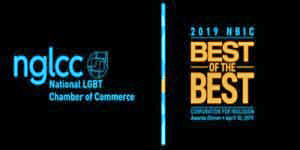 The alliance includes the National LGBT Chamber of Commerce, the U.S. Black Chambers Inc., the U.S. Hispanic Chamber of Commerce, and the US Pan Asian American Chamber of Commerce Education Foundation. The diverse business communities represented by the alliance of chambers account for an annual estimated contribution of more than $3 trillion to the U.S. economy. The Chamber Leadership Development Program is aimed at educating and developing leaders of diverse state and local chambers of commerce to support diverse entrepreneurs. The program also will include university partners and will affect more than 400 chamber leaders through innovative programming designed to empower chamber leaders to better serve their local communities of diverse businesses. 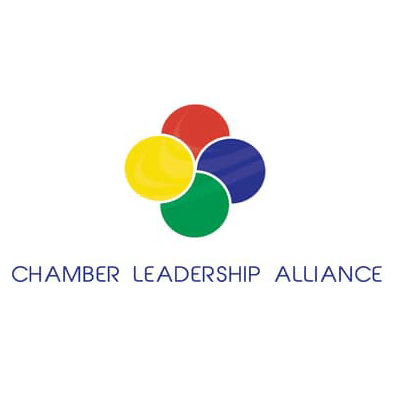 In 2019, the program will be offered to chamber leaders at the conferences of each of the alliance of diverse chambers organizations. The first session will be held at the US Pan Asian American Chamber of Commerce Education Foundation CelebrASIAN Procurement + Business Conference in Houston, Tx, June 4–5. It will be followed by the National LGBT Chamber of Commerce International Business and Leadership Conference in Tampa, Fla., Aug. 12–13; the U.S. Black Chambers National Conference in National Harbor, Md., Aug. 19–20; and the U.S. Hispanic Chamber of Commerce National Convention in Los Angeles, Ca, Sept. 28–29. In addition to these in-person sessions, there will be two virtual sessions in 2019. About the U.S. Black Chambers, Inc.
Wells Fargo & Company (NYSE: WFC) is a diversified, community-based financial services company with $1.9 trillion in assets. Wells Fargo’s vision is to satisfy our customers’ financial needs and help them succeed financially. Founded in 1852 and headquartered in San Francisco, Wells Fargo provides banking, investment and mortgage products and services, as well as consumer and commercial finance, through 7,800 locations, more than 13,000 ATMs, the internet (wellsfargo.com) and mobile banking, and has offices in 37 countries and territories to support customers who conduct business in the global economy. With approximately 259,000 team members, Wells Fargo serves one in three households in the United States. Wells Fargo & Company was ranked No. 26 on Fortune’s 2018 rankings of America’s largest corporations. News, insights and perspectives from Wells Fargo are also available at Wells Fargo Stories. For additional information, please visit nglcc.org. 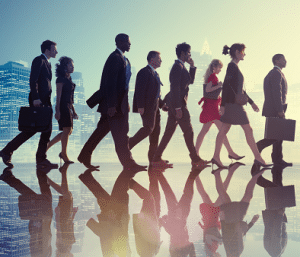 Professionals born between 1977 and 2000, are a generation that employers are eager to recruit into their organizations, as part of human resource and legacy planning. The next generation of career professionals faces some unique challenges establishing themselves in business sectors which are occupied at senior levels, by employees and managers with senior tenure and expansive work experience. What kind of career strategies should millennials consider, to progressively advance their careers in a new a rapidly growing global market? There are many affordable online resources that provide career professionals with resources and training, that can help you grow your skillset, to compete for opportunities with some of the world’s leading employers. A degree is the first step to establishing a foundation of skills that will get you hired, but what employers like to see is a candidate that has persisted in professional development, by taking ongoing continuing education courses and certifications. Some of the most competitive training opportunities, are available from non-traditional education providers, like Udemy, which now offers over 55,0000 online courses. Invest in the growth of your career, by completing ongoing training, and remember to add the completed coursework to your LinkedIn profile and CV. Recruiters and leading employers do not hire based on what they may or may not find, when they search for social media, blog and other online communication written by a prospective candidate. But it is important to know that what you do share online, does reflect strongly on the impression that you make, before you have been interviewed. How can you organize your social media to attract employers or recruiters? Start by spending extra time on your LinkedIn profile, as it is the first and most often searched resource during the interview and hiring process. Don’t treat your LinkedIn profile as a repository for the details of your CV, but rather as an opportunity to share portfolio items, and measurable accomplishments. Ask for referrals and endorsements from previous colleagues and managers, to provide references that future employers can easily review. Consider writing and publishing professional articles on LinkedIn Pulse, that demonstrate your learning and growing knowledge about your industry. Join groups and follow leading brands and organizations on LinkedIn, and contribute content, such as comments, shared links and other insights. One of the most important things you can do with regards to personal branding, is evaluate the content that you have previously shared on social. Does it contain language that would be offensive to potential employers? Are there pictures that you have shared, that can be viewed by the public, that could deter an employer from hiring you? Spend some time ‘cleaning up’ objectionable content, and consider adding industry related articles, comments and insights weekly, to establish yourself as a quality hire. 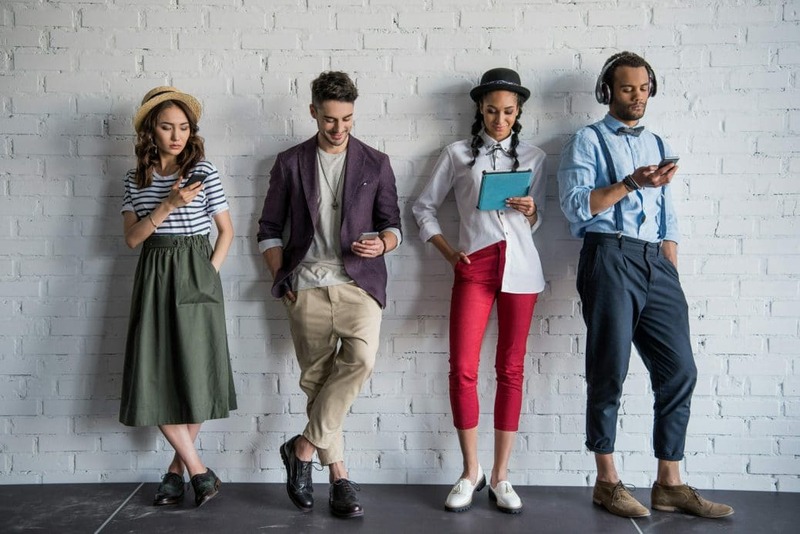 Today’s professionals are wired to technology, and that is both a good thing, and a bad thing for millennials, who may not develop the soft skills and offline networking talents they need, to grow within their career. While conferences and conventions can be expensive to attend, they are a valuable opportunity to meet other professionals within your sector. Job fairs and technology accelerator events create the face-time needed to meet prospective employers, and to learn more about the skills you will need to advance in your career. Consider the benefit of a printed business card, with your name and telephone number that you can give to organizations you are interested in. It is a small thing that can make a lasting impression and open the door to new opportunities. Finding a mentor in your career sector can be difficult, but the rewards and benefits are many. Not only can a mentor share how they successfully grew within your industry, but they can help point you in the right direction, in terms of training, associations and other activities that can make you more competitive in the global job market. Did you know that one of the things that successful career professionals have in common, is that they are constantly browsing job opportunities online? Even if you are currently happy with your role and the organization you work for, there are many insights that you can learn by regularly reviewing the competitive requirements that leading businesses are looking for. 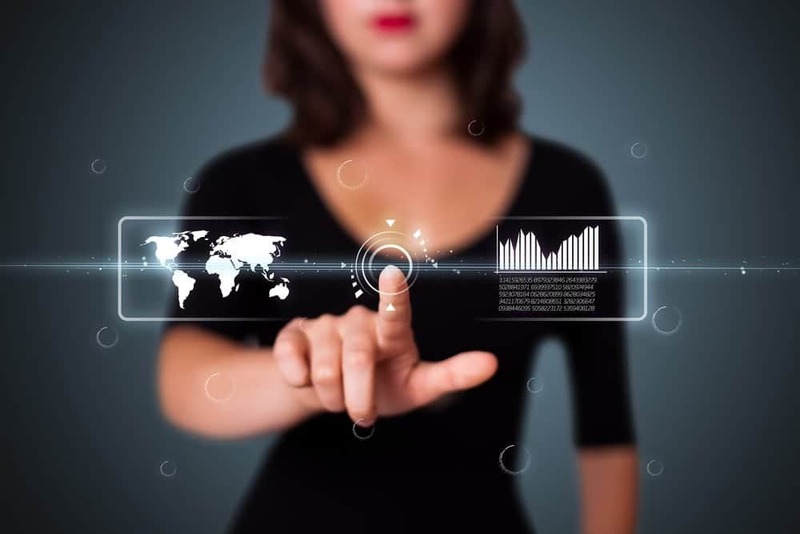 For technology professionals, the sector is constantly changing. If you are in an entry-level or middle role and wish to transition to a future executive or management position, start by looking at the experience and requirements that are advertised by employers. It will provide an actionable list of certifications and associations that you can become involved with as a volunteer, or part-time intern, to build your portfolio of relevant work experience. Making a good impression at a job interview involves a lot more than just, being on time, and researching the company. Here are five key questions to answer for yourself if you want to make it to the next round. 1. How will I strike a balance between selling myself and praising the company? Everyone knows that pitching yourself is key, but overdo it and you’ll turn the interviewer off. You need to strike the right balance between talking about the company you’re interviewing with and talking about yourself. Suppose you start off with, “Here’s why I’d be great for this job. Here are my accomplishments.” You’ve just dug a hole for yourself, because you’re making the interview all about you. Instead, start with explaining how you admire the company, its accomplishments, and leadership. If you can, show you know something about the person interviewing you. Express your excitement about that particular position. In short, talk about the opportunity–and then show why your qualifications make you such a good fit. Your interviewers will be impressed. You’ve made the connection between the job and your abilities, and so will they. 2. How will I tout both my knowledge and my teamwork? Be proud of what you’ve done and your credentials, but remember, you’ll lose big points if you come across as a know-it-all. Be sure to acknowledge the people who mentored you and teammates who helped you with your achievements. The interviewer wants to know that you work well with others and give credit where it’s due. Sounding too smart will make people feel that you won’t fit in, that if you’re hired you will tell your team just how to do things, and when they get it wrong, you’ll tell them how stupid they are. So be careful. Don’t put down others or correct the person interviewing you. If you say you restructured an organization that was badly in need of your expertise, you’re dissing your former colleagues. If you correct the person interviewing you by saying, “Well, actually, I didn’t work for that division,” or “I’m late because I think you sent me the wrong time in my Google Calendar,” you might as well kiss the job goodbye. Even if you’re right, you’re wrong to sound superior. 3. How do I avoid sounding passive? 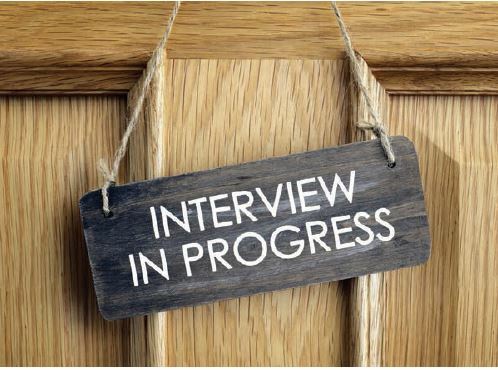 Interviewers will ask you specific questions. Answer them but also come prepared to shape the dialogue. The secret is to prepare a narrative that shows your strengths and illustrates why the job is right for you. This script should have a main message about you, as well as key supporting points explaining why you feel qualified for the position. When you’re asked a question, let the answer flow into the material you have prepared. If the interviewer asks, “What is your most outstanding characteristic as a leader?” you’ll have the answer and more: “I see myself as a leader who can inspire others. I do this in several ways. First . . . ” This preparation will give you a stronger presence. It also means that when you leave the room, you won’t have regrets about failing to mention any of the reasons that make you a strong candidate. 4. How eager should I be? You may be uncertain about whether you’ll take the position. After all, every interview flows both ways–you are evaluating the company, just as they are judging you. But regardless of such feelings, you should act hungry for this job. It’s easy to feel ambivalent about a major career move. Maybe you’re not quite ready for a big jump, perhaps the company interviewing you is not in your industry of choice, or the salary and benefits are not wholly to your liking. But beware: Recruiters and employers will pick up on your ambivalence. They’ll hear it in your tone of voice, your body language, and words. So avoid giving mixed signals. Don’t suggest you’re considering other positions. Express how excited you are about this opportunity. Once the job is offered, you can decide whether you want it. 5. How much should I rehearse? There’s nothing more important than rehearsing for that interview. But too many candidates think they can wing it and find out (all too late) that strategy was a mistake. The executive communications company I founded and headed for 30 years often rehearsed leaders for job interviews. I know from experience that practice made all the difference. Rehearsing allows you to fine-tune your “pitch.” Work with a communications professional if you can, but even if you deliver your remarks to a family member or friend, you’ll find that trial run useful. A rehearsal will also allow you to address delivery issues. An audio or video recording, as well as feedback from a coach, can lead to remarkable improvement. It can help you get rid of filler words like “um,” “ah,” and “like.” Rehearse well, and you’ll enter the room with a great deal of confidence. 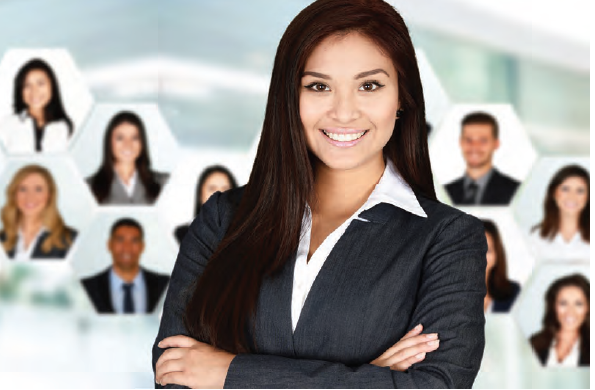 The Hispanic Alliance for Career Enhancement (HACE), a national nonprofit organization devoted to the employment and advancement of Latino professionals, will be hosting its 37th National Leadership Conference with a theme of “Beyond Latinidad: Identity, Intersectionality & Inclusivity” on April 25-26, 2019 at the Radisson Blu Aqua Hotel in Chicago. HACE’s National Leadership Conference includes career exploration, professional development, powerful networking and open dialogue to raise awareness of the many identities Latinos represent. Partners are invited to attend the career fair on the second day of the conference to showcase job opportunities to over 400 high-potential candidates and participate as experts in discussions focused on diversity & inclusion, recruitment practices and the multi-generational workforce. “Currently there is a lack of leaders who represent our community. 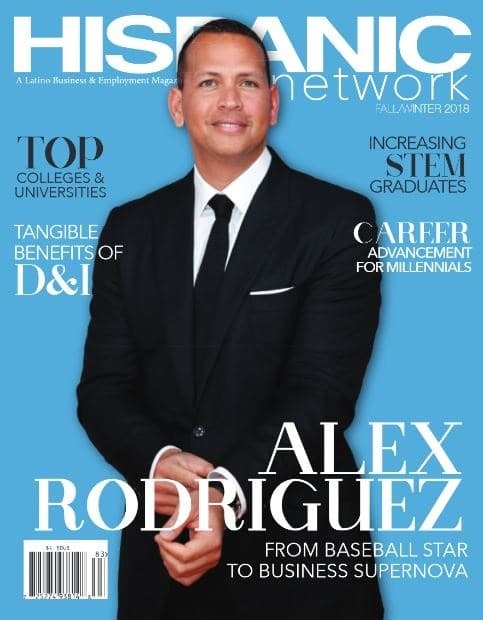 With our programs and services, we are able to shine a light and really feature Latinos that have made it, that are successful, to our younger generation so that they can envision themselves getting there,” said Patricia Mota, HACE’s President & CEO. The conference will open up with a powerful panel of Hispanic and Latino leaders will discuss what Latinidad means to them, their individual identities, the intersection and impact of these identities, and how their stories help to foster spaces that build inclusivity. 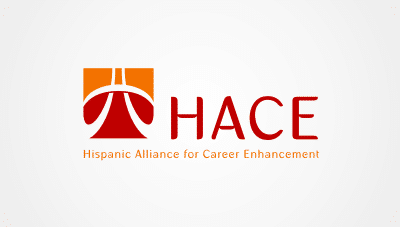 HACE’s annual awards ceremony honoring the accomplishments of its members and the generosity of its partners will take place on the evening of April 26, 2019. Eli Lilly & Company, McDonald’s, AT&T, Nielsen, Sodexo and United Airlines. Additional sponsors include AARP, Abbvie, Accenture, ADP, Advance Auto Parts, Army ROTC, HCSC Blue Cross Blue Shield, Barilla, BP, Central Intelligence Agency, Federal Reserve Bank of Chicago, Grainger, Hyatt, Navy Exchange (NEXCOM), Omnicom Group, PepsiCo, TIAA, U.S. Cellular, Verizon, Walgreens, Abbvie, DIAGEO, MillerCoors, Motorola Solutions, Burson Cohn & Wolfe and University of Chicago. (Sponsorship opportunities are still available). Selected by the CNET en Español editorial staff, the list is comprised of professionals in STEM or creative fields that meet the following criteria: born in Spain or Latin America, or in the U.S. of Hispanic origin; working in the U.S. or at a company with operations in the country; and those who are in senior positions and involved in the decision-making processes or play key creative roles in the technology space.